If you need an affordable entry-level crossbow, buy the Barnett Jackal. This model is perfect for intermediate users as well and has a solid design and construction. Another highlight is the exceptional 5-year warranty included with your purchase. The only negative is that it does not have rope-cocking mechanism included and some say it is a bit noisy. The next crossbow has a design suitable for youth starting out with archery. The Barnett Vortex is suitable for right-hand users. The great thing is this bow grows with your child. Included it has adjustable draw modules and constructed according to the AMO standards. 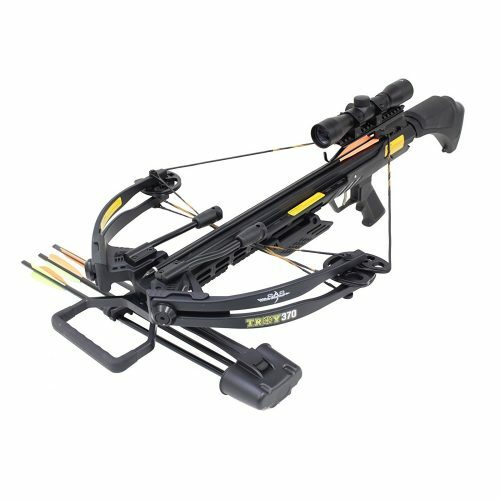 Another crossbow under $500 is the Leader Accessories Package. 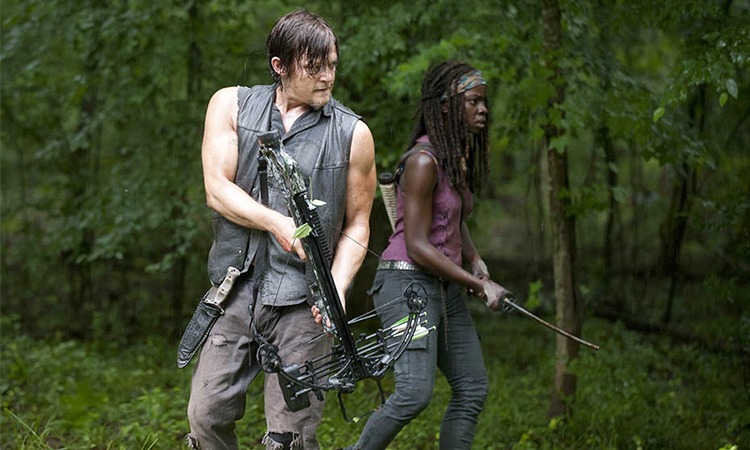 The crossbow may look like a toy with its black color, but is powerful enough for target shooting and hunting. Included you receive a padded sling with a four-piece aluminum arrow. 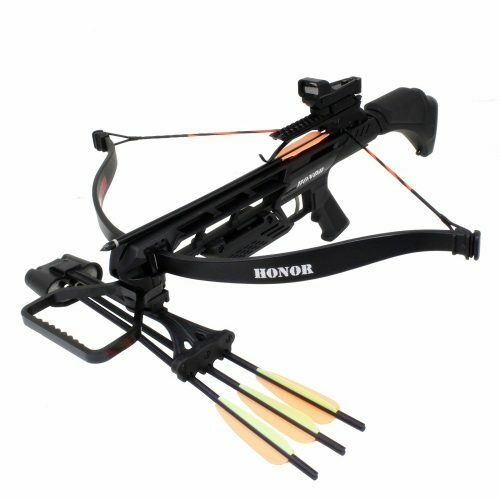 The SAS Honor is suitable for archery and hunting. The crossbow has an ambidextrous auto safety design. If you are a veteran in need of a lightweight bow, this is the one to have. 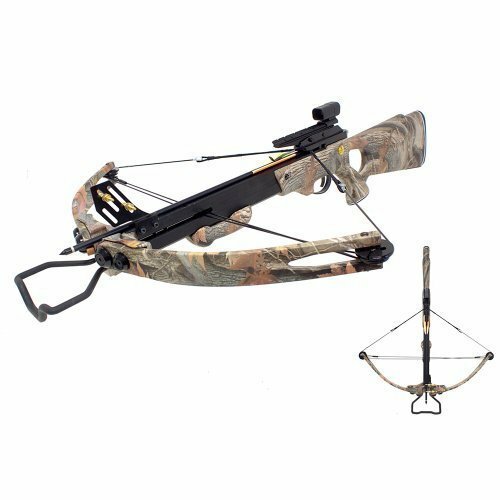 Furthermore, if you need a fully equipped package the recurve crossbow includes a reflex red dot sight with quick detach quiver and three arrows. The SAS Panther is a compound crossbow loved by all archers and hunter. The bow has a lightweight design and one of the strongest models you can find. If you are a large game hunter or need to do some target shooting, the Panther is ideal for any situation. The SAS Troy compound crossbow offers you an amazing speed and draws weight. This is a popular bow amongst hunters and archers. For exceptional speed and accuracy, the Troy has a sleek profile and outstanding performance. The bow is vibration free and has an adjustable stock. 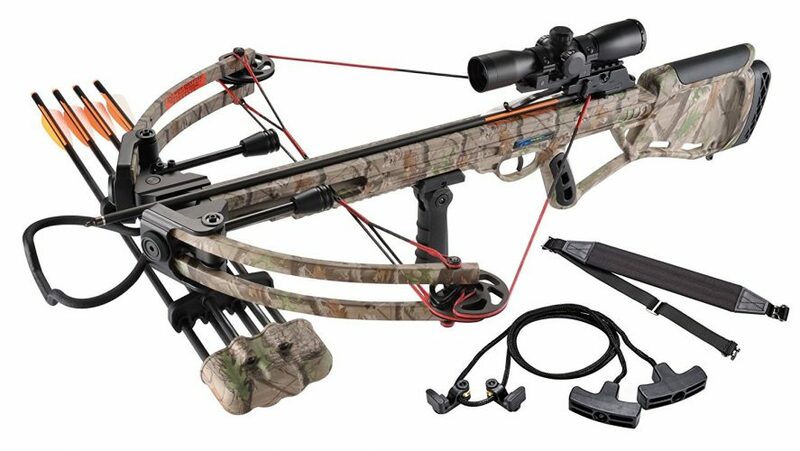 Another Leader Accessories hunting crossbow is the 150lbs crossbow package with Camo color. 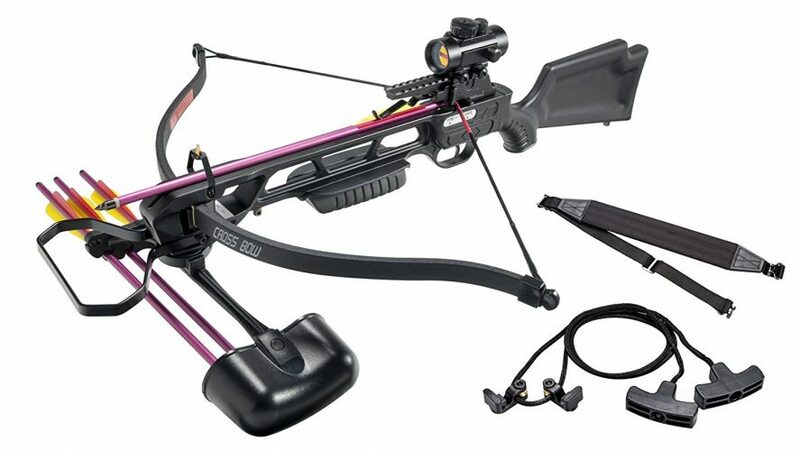 This promising crossbow includes a quiver and arrows ready for you to use out of the box. 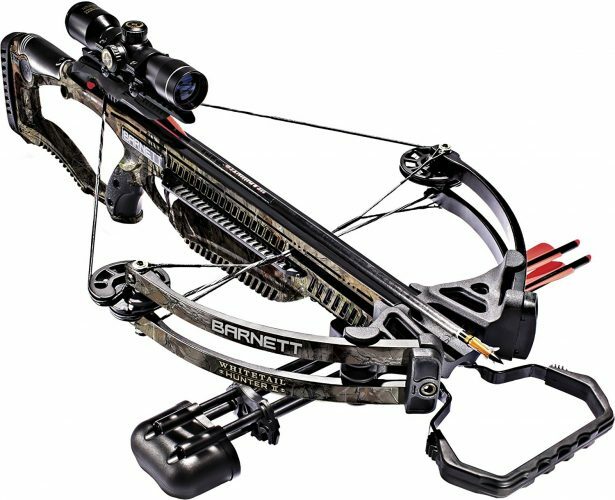 If you want, one of the best crossbows for hunting the Barnett Whitetail Hunter II is sure to please you. You receive this bow mostly assembled and have composite laminated limbs with a string dampener. This is a powerful bow designed for hunting and made up of stainless components. Another exceptional hunting crossbow is the Barnett Ghost. 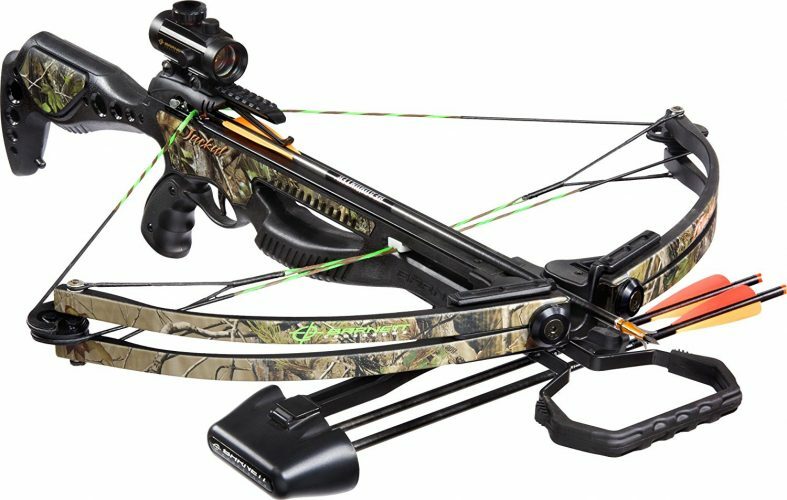 You can buy this bow for fewer than 500 dollars and features outstanding specs. The Ghost Crossbow you can set up easily out of the box. The bow has a Carbonlite design with durable riser with foot stirrup. The Invader G3 crossbow is lightweight and balanced well and includes a convenient ACU-52 cocking mechanism. You will get a smooth draw with accurate shots and has an adjustable three-dot scope.